Good landscape design is the difference between an ordinary home and a standout property that buyers will compete to purchase, outbidding one another at high prices. This desirability factor will increase the value of your property. 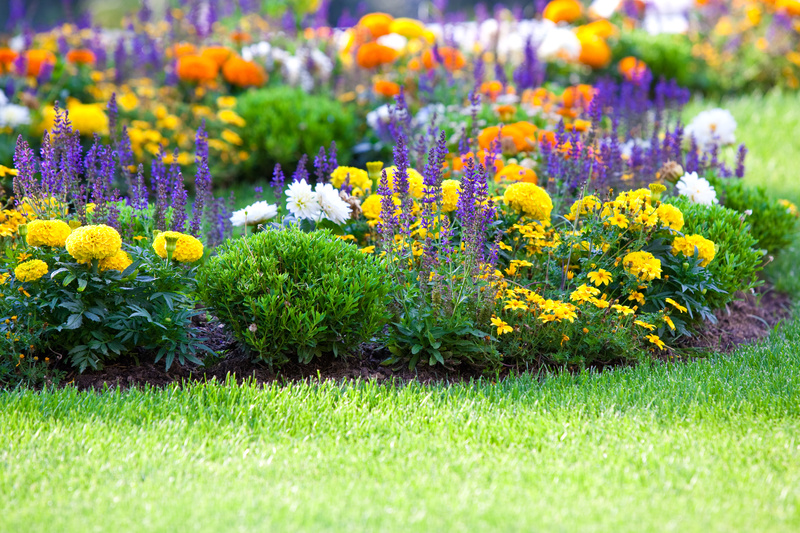 Sure, you can pay tens of thousands to renovate your bathrooms or add square footage to your home's structure, but you could also perform a few simple landscaping improvements. Good landscaping in Alpharetta can increase the value of any residential property tremendously. These are 10 landscaping tips that you can use improve your property values. · Flower Beds - The addition of curved flower beds has been shown to increase your property values. Simply decorate corners of blank grassy expanses or the sides of a driveway with elegant flower beds. · Cost Effectiveness - Finicky or unmanageable plants can decrease your property values because of their regular maintenance needs. Overgrown vines and delicate orchids, for example, are no-nos. · Safety - Plants that appear dangerous are also to be avoided or removed. Large trees near power lines or branches that extend toward a neighbor's yard should be pruned. · Color Schemes - Landscape designers can help you select decorative plants that match with your home's roofing and cladding materials. A good match makes for an impressive appearance. · Good Grass - Patchy or poorly maintained grass will make your property appear as if it has been abandoned for a long time or is unmanageable. Hire landscape contractors to maintain green grass. · Neat Growth - Overgrown bushes, especially along the exterior walls of your home, can make a house appear much smaller. Hire landscapers to keep plants neatly cut so they do not overshadow the house itself. · Smart Design - Good landscape design goes a long way. Designers can help you accentuate the architecture of your home by aligning shrubs with pillars, using trees to extend the apparent height of your walls, and more. · Clearly Defined Borders - Good bordering makes a yard appear neat and well-maintained. Use rocks, stones, or retaining walls to create borders between different features for a neat and impressive design. · Weed Control - Weeds can have a huge impact on your property's value, giving it the appearance of being in poor condition. In fact, buyers may even think your house has architectural damage if the yard is weedy. Use mulch and rocks to block weed growth and hire landscapers for weed control. · Green Pastures - While landscaping is Alpharetta is good for a yard, remember that your grass is your foundation. Do not waste valuable square footage of grass on other plant life or decor. Green expanses look pleasing and attractive to buyers, which increases the value of your property.